English is the one of the most spoken languages in the world, for this reason people from all around the world want and need to learn it. It is no longer necessary to leave your country to learn English, as technology advancements have made it possible to learn it from the comfort of your own home via the internet. All you need is a headset microphone, a computer and of course internet connection. English study online teachers can help you progress from beginners to proficiency level by tailor making the courses to your individual needs. ESO teachers can speak other languages, so that beginners do not find it hard to study English, ESO teachers will explain anything that you don’t understand in your native language. Our online classroom is equipped with dictionary, whiteboard to write on and to see the learning material the teachers will upload, so that you have the same learning experience you would have in a school environment, and it is a lot cheaper. All ESO teachers are qualified native speaking teachers, so you are taught by the best. In the online classroom you can prepare for exams, learn general everyday English, grammar, Business English Course, conversational English, improve your listening skills and even English pronunciation. You can also get your English certificate online after a course of English lessons by doing the exam online via a test sent to you by email, which needs to be done and sent back to us within a time frame. Certificates and diplomas are necessary for academic placements and in particular for the workplace. Many companies want to see your level of English in some written form as proof of your English skills. By listening to native qualified online teachers, you will hear the correct pronunciation of the words and phrases, which will help you learn faster and in the correct way. You will also be able to hear your lessons by audio streaming as well as see grammar videos to help your understanding of English grammar. So is English learning online for you, let’s see, can you answer yes to the following questions, if you can answer yes to most of them, online learning is definitely for you. Would you benefit from the convenience of doing lessons at your time and pace? Would you benefit from learning English with a native speaking teacher? Would you benefit from the one to one interaction with your teacher? 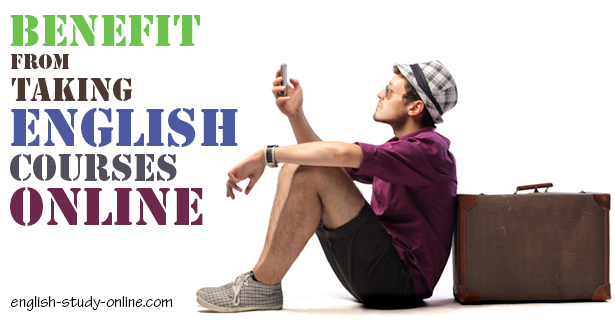 Would you welcome the low cost of learning English online? You can Contact English Study Online to find out more on how you can learn English quickly and effectively with qualified teachers from the comfort of your home or office.